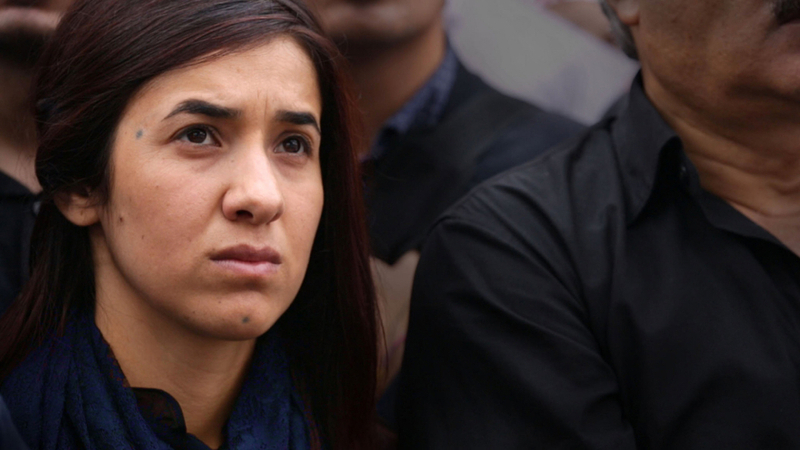 After surviving the 2014 genocide of the Yazidis in Northern Iraq and escaping sexual slavery at the hands of ISIS, 23-year-old Nadia Murad gives testimony before the U.N. Security Council that reverberates around the world. Despite longing for a normal life away from the spotlight, Nadia suddenly finds herself thrust onto the international stage as the voice of the Yazidis—a historically persecuted and voiceless religious minority. Alexandria Bombach’s inspirational documentary won the Directing Award for US Documentary at Sundance and stands as an important testament to an unwanted, necessary personal journey in the service of others. In English, Kurdish, and Arabic with English subtitles.